These cone shaped flasks are rigid , translucent & autoclavable. The screw cap keeps the contents of the flask contamination free and makes the flask leakproof. 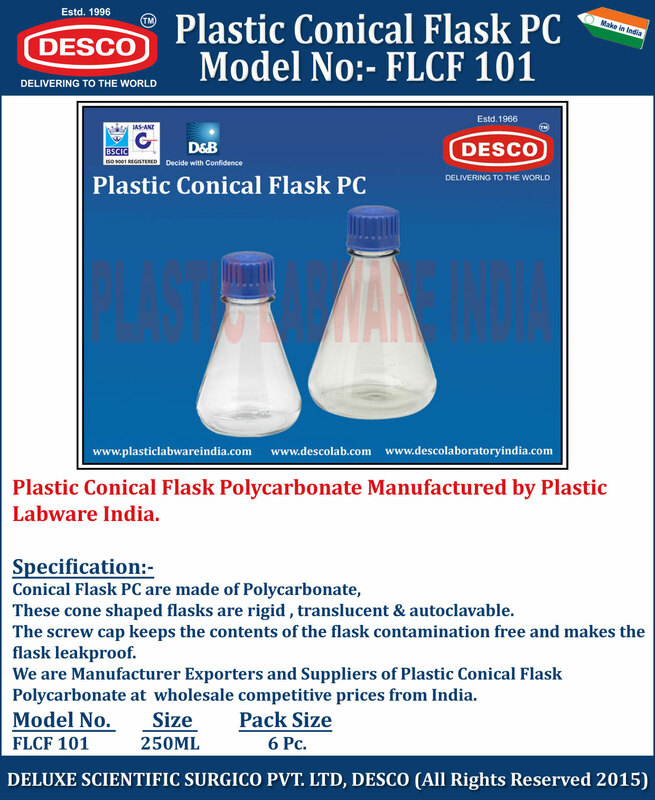 We are Manufacturer Exporters and Suppliers of Plastic Conical Flask Polycarbonate at wholesale competitive prices from India. FLCF 101 250ML 6 Pc.